A mythical creature had drivers fearing for their safety, and their eyesight. 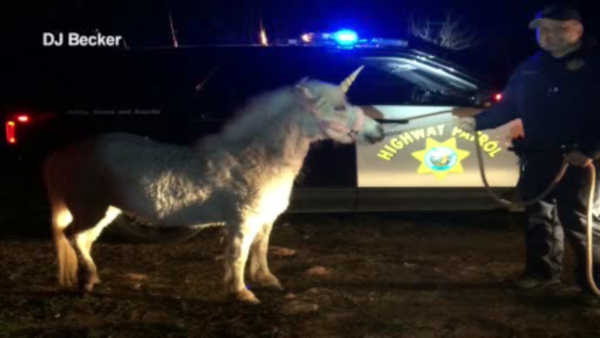 Police caught up with a unicorn after it spent several hours running through traffic in Central California. The unicorn, which is actually a pony wearing a fake horn on its head, had gotten away from a child's birthday party earlier in the day - not once, but twice. Police say some drivers called in after seeing the pony, and were convinced they saw a real unicorn.